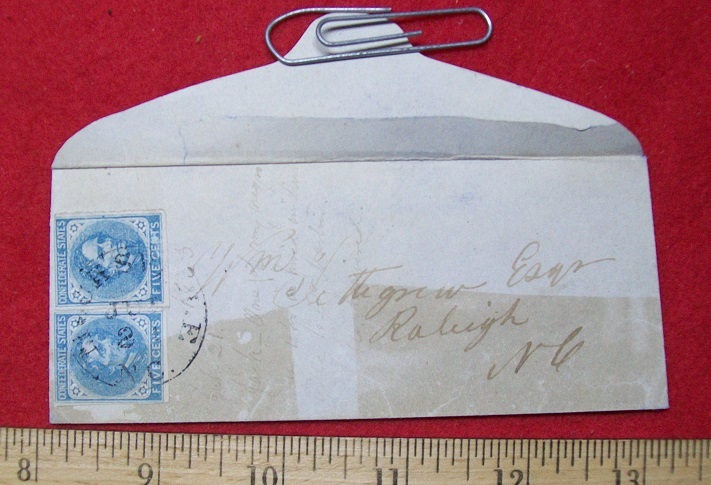 11th Indiana Zouaves Cover. Early Indiana unit involved in early war battles in West Virginia. Addressed to Jos. W. Messler, Co F, 100 Indiana, 15th Army Corp. Via Nashville. Sharp Indiana cover. Ladies Cover. Mocksville NC. 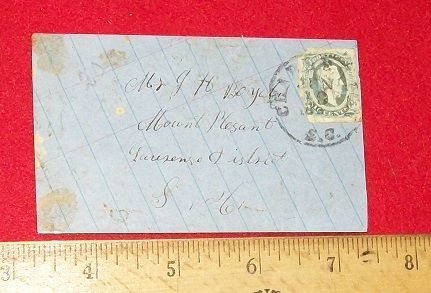 Two CSA stamps tied to the Cover. 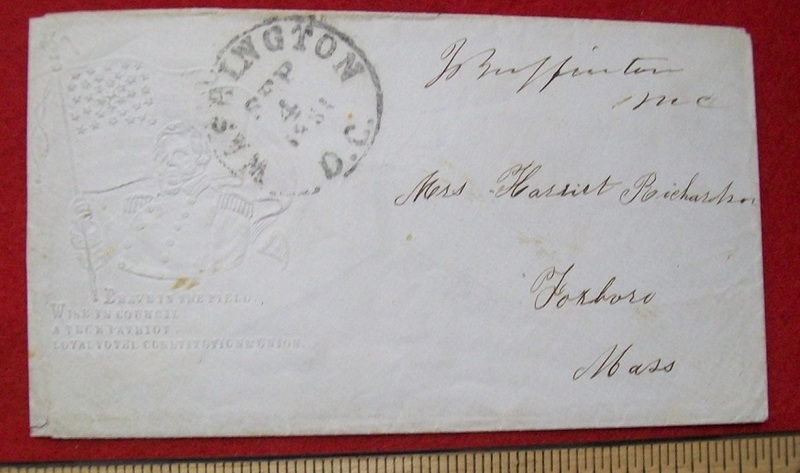 Federal Cover with Maiden and Flag. Cancel is Elbion, Indiana. 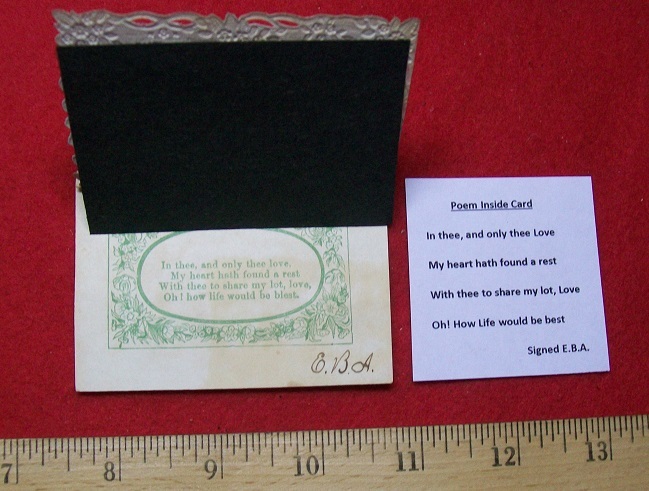 Has a nice cutout and poem. Fragile and unusual. CSA Patriotic Cover. CSA flag. JW Randolph, Richmond. Above us our banner is waving/ The hope of the brave and the free/ We must watch, must guard, and defend it/ Till the minions of tyranny flee . Is addressed but has never had a stamp on it. Probably hand carried. Corners are slightly clipped. 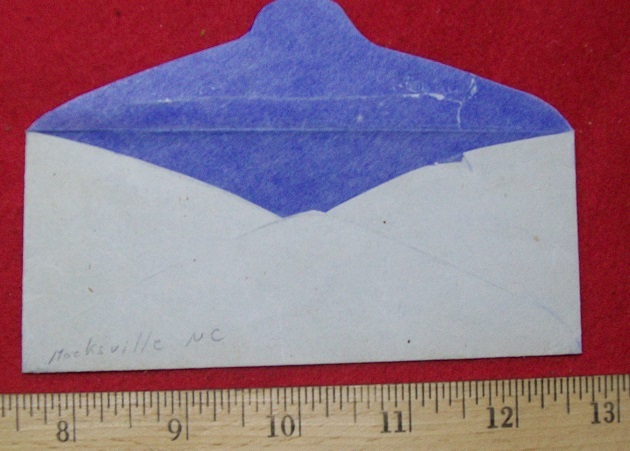 Account of Mails received in the Post Office at....... 11 headings on rough CSA paper. 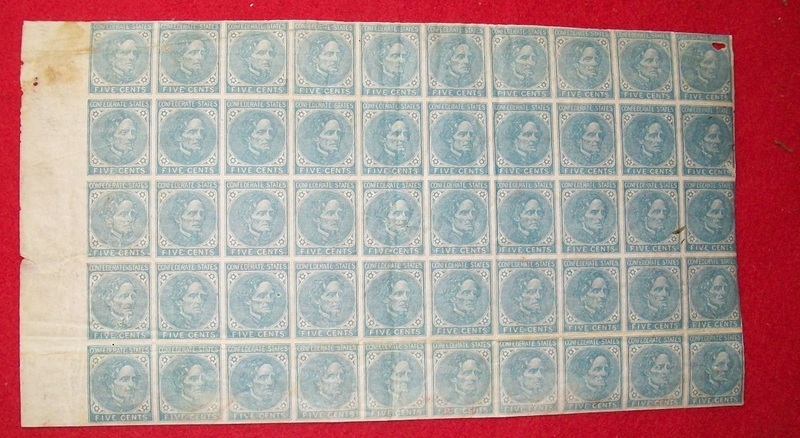 11 1/2 x 17. 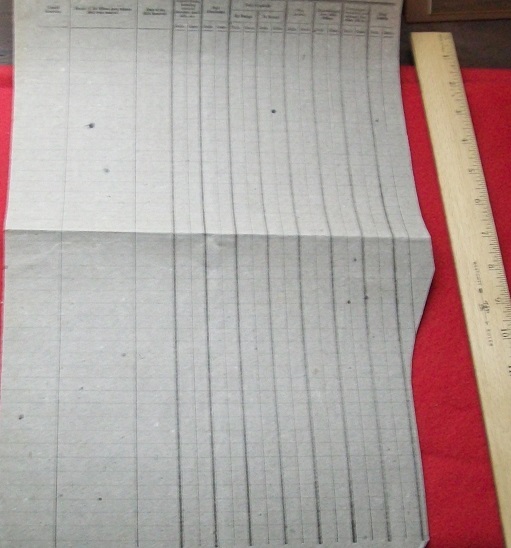 Note paper loss on lower right edge..